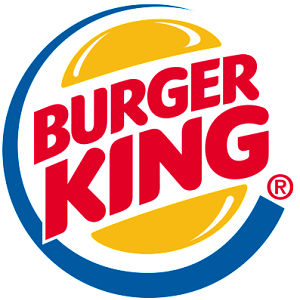 MoneyHub lists the latest Burger King coupons, voucher codes, promotions and deals for Burger King stores New Zealand wide. No voucher needed, available at participating restaurants for a limited time. ​No voucher needed, available at participating restaurants for a limited time. Multiple options, no voucher needed but you do need to mention the deal to secure the discount. Every month Burger King lists a set of deals (examples listed below) with many offering 50% off the standard price. Burger King publishes coupons monthly - click on the image to download the latest offers for this month. There are always ways to save money when ordering Burger King. Even if there isn't a deal above that works for you, there are other ways to save as we outline below. HIGHLY RECOMMENDED - Visit Burger King's offers page to download deals. Every month their is a new coupon book which you need to download, print or mention at the counter to receive the discount. The offers are valid in the period stated only. HIGHLY RECOMMENDED - Sign up to Burger King's website to receive deals. You'll receive details of store-specific promotions directly to your phone and inbox, which you can print or show on your phone at stores. Follow Burger King on Facebook. You’ll then receive news of Burger King promotions, voucher and coupon codes as well as exclusive deals. Burger King offers an Apple App and an Android App, both of which have poor reviews despite promising deals and promotions - sticking to the website may be a less frustrating experience. Know something about Burger King​ coupons we don't? Want to share it with thousands of New Zealanders? Email our coupon team now and share the love.